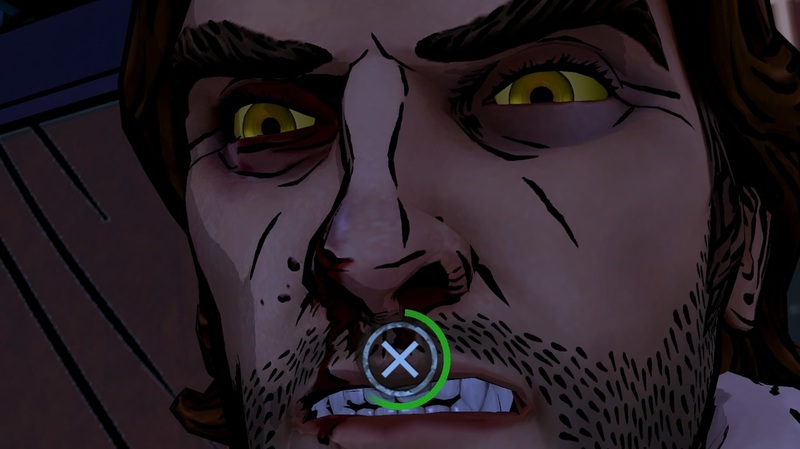 Time travel and school life may seem worlds apart, but Life is Strange attempts to combine the two while expanding on the recent spate of story-based adventures like Telltale’s The Walking Dead. Developed by DONTNOD, who already showed creativity with Remember Me, it is a remarkable and unique experience which you won’t soon forget. Despite some missteps with gameplay mechanics and goofy technical issues, adventure fans will adore this one. 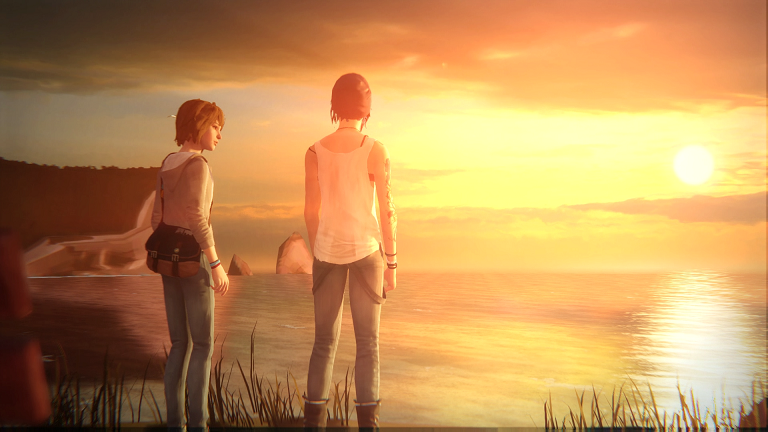 Taking its cue from Telltale, Life is Strange uses the recognisable, five-episode series format to tell its story. 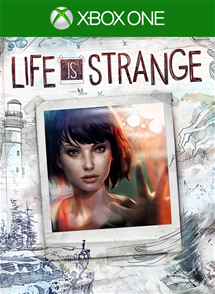 Max Caulfield is your normal, if shy, photography student who begins experiencing visions of a deadly storm and, after witnessing a murder, gains time travelling abilities. After saving childhood friend Chloe, this sets off a chain of events which tackle themes of corruption and mental illness, as well as some seriously sordid secrets. Along the way, you’ll have to make dozens of decisions which range from minor to game-changing. All the while, Max deals with the stresses of entering adulthood in a school which can best be described as incendiary, with cliques and bullies aplenty. 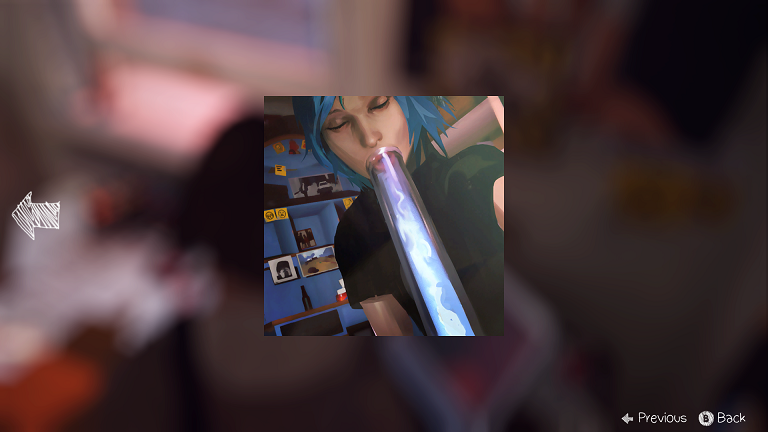 Though at times goofy dialogue and buggy lip-synching can take you out of the moment, Life is Strange boasts one of the most memorable stories in recent times. It’s certainly the most exciting exploration of time travel, pondering the Chaos Theory and its cataclysmic effects. It’s deftly mixed with drama, with a mostly astounding cast of characters who are well defined, interesting to talk to and feature full, in-depth back stories. The story features incredible peaks and valleys, including some shocking twists and gut-wrenching scenarios. Though the later episodes do start to falter somewhat, the first half is storytelling beauty. 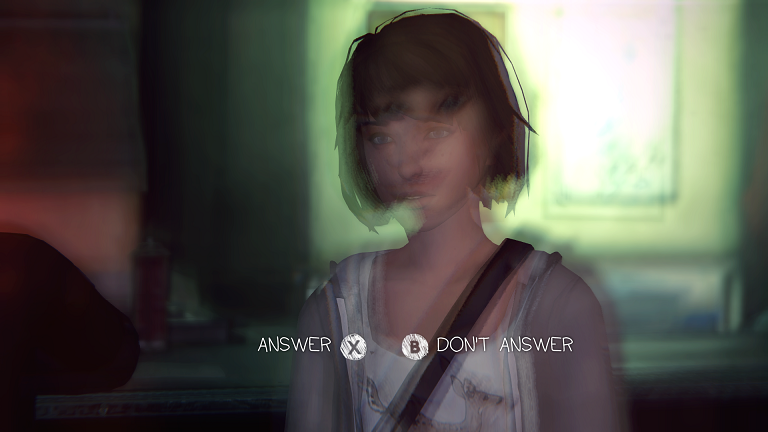 The relationship Max shares with multiple characters feels natural and well done, adding the extra pain to each decision you make. Life is Strange is a little different from other recent adventure titles, as it feels like the emotional drama and decision making is balanced pretty well with actual tangible gameplay. Though you’ll often spend time conversing with classmates and teachers, as well as some adults outside of Blackwell Academy, you’ll often be using your rewind powers to complete puzzles, such as manipulating your surroundings by rewinding time in order to clear a path. There’s also a variety of other elements, such as detective-style logic puzzles and even an odd yet strangely tense stealth segment which, while hard to fail, adds a layer of discomfort. 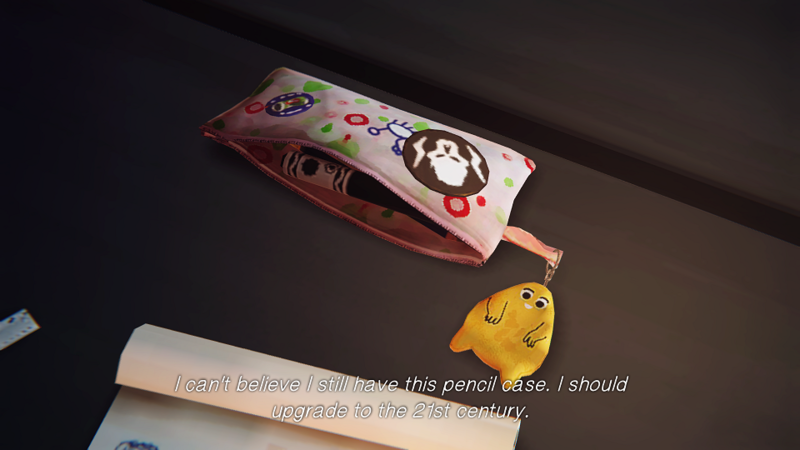 It feels like gameplay has not been sacrificed to carve a story and, while far from flawless, Life is Strange is often just as fun to play as it is to watch. But perhaps the most memorable moments come from the decisions you must make. From the opening episode, you’ll be forced to make tough decisions that will impact later parts of the game. But there are also a slew of smaller choices and missables that mean you’ll have to take a second playthrough. Just exploring a bin can give you a link to a consequential decision which could come back to bite you. It’s often not black-and-white, and one small decision can cause later segments in the game to become much more difficult, such as when you try to talk down a member of your class from the top of a building. And while highlighted, major decisions may seem to have little impact at first, they can become thread-changing in certain circumstances. 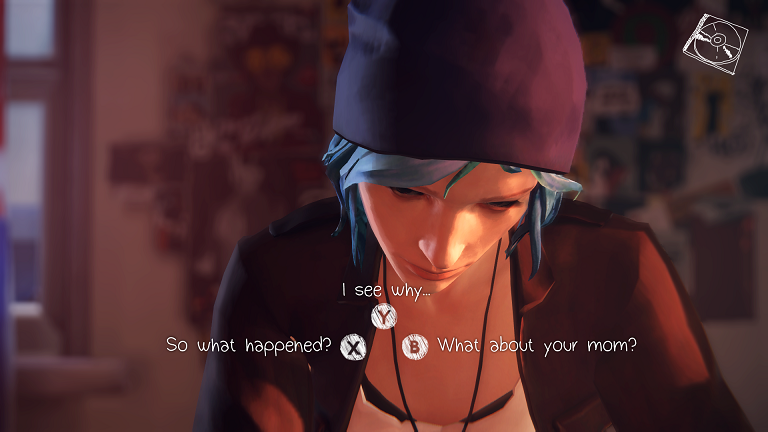 Many games claim to offer choice, but Life is Strange really nails a malleable story experience. That’s not to say it’s consistent. Sometimes, the nature of time-travel can leave some decisions feeling a bit pointless. Some game segments can border on tedious, such as a trite series of scavenger hunts to move along the story or later sequences where you’re forced to listen to tedious monologues. Some plotlines feel wasted and often lack the sense of care afforded to the majority of the story, particularly towards the end where it can feel like DONTNOD is scrambling to wrap up the story. That being said, the killer ending will leave you feeling emotionally invested, and though some have argued it lacks care, it actually perfectly symbolises the final decision you make. The presentation also contributes towards many of the positives. Though texture pop-in courtesy of Unreal Engine and some janky lip-synching can leave you bewildered, the game often resembles a painting coming to life. Flat yet vibrant colours mix with beautifully lit environments and motion-capped animation to immerse you into the game. The voice work, bar maybe a couple of characters, is great, and the pop-culture filled dialogue (Max is a geek, after all) will often produce a smile, though more serious moments can suffer from clunky writing. The music often feels perfectly picked, never interfering with the story yet capturing the moments expertly. 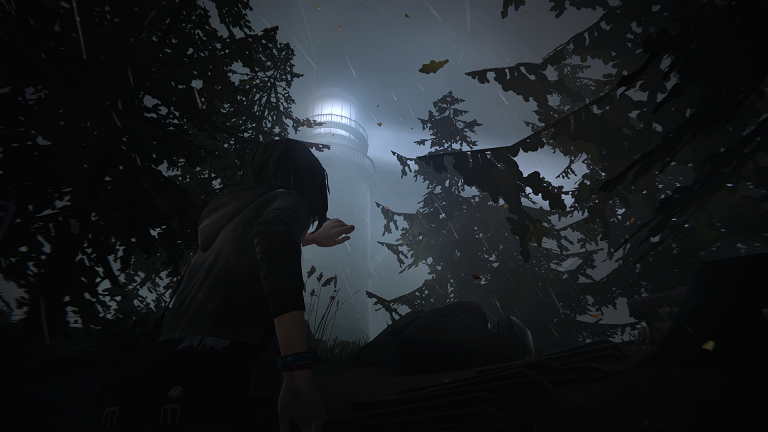 Life is Strange is one of the standouts of 2015. Despite the genre’s recent saturation, DONTNOD stand out with a potent mix of time travel, human drama, mostly-consistent gameplay and a story which features more memorable moments than you can count. Despite some inconsistencies and a lack of polish hurting the momentum at times, fans of The Walking Dead will find it the most emotive experience since, and even those cynical about story-driven games might find themselves surprised at the dynamism on display. Just make sure you bring some tissues for the tougher moments.